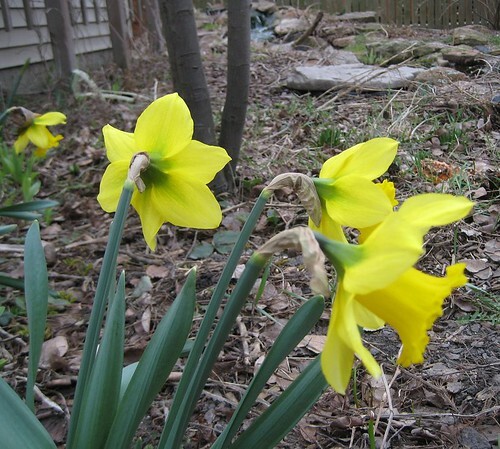 It’s been relatively mild since the mid-March bloom day, so flowers continue to come up. Rijnveld’s Early Sensation always lives up to its name – the other daffs are barely budding yet. 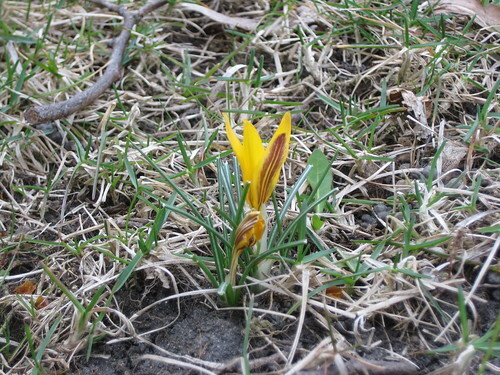 Both the big blue and white volunteer crocuses in the backyard and the smaller yellow/violet crocuses I planted last fall in the front yard have emerged. 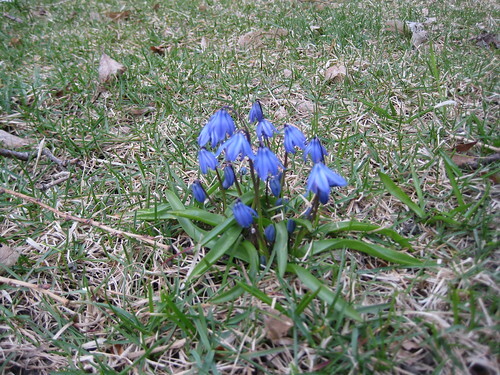 And the scilla are in bloom already, which seems awfully early. With temperatures in the 70s predicted for this week, I don’t know what will be blooming a week from now! There have been plenty of changes since the snowdrops first came up a week ago, but not a lot of them are flowers. The garden is full of green shoots, but it will be a while before they’re any more than the promise of flowers to come. 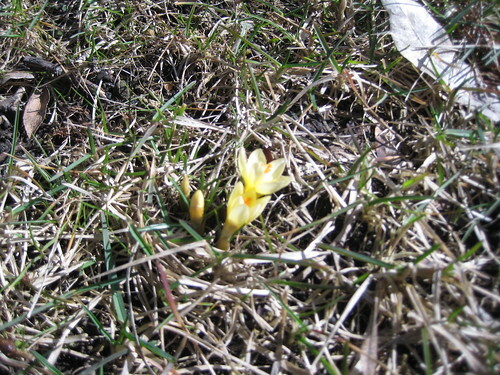 The snow is almost completely gone, but it’s a good bet that we’ll see some more before the next bloom day. 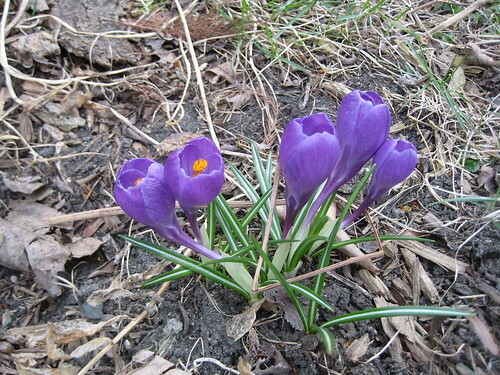 Big thanks as always to Carol for encouraging us to get out and see what’s blooming! 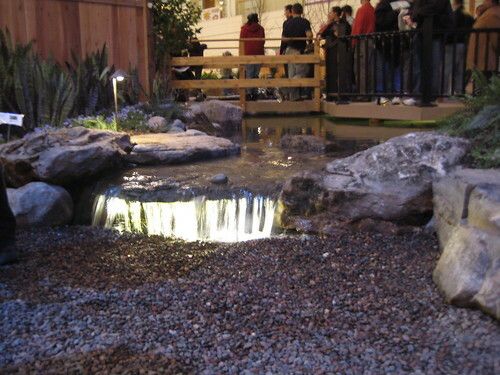 I went to the Chicago Flower & Garden Show for the first time this past weekend, thanks to Mr. Brown Thumb who got press passes for several garden bloggers. 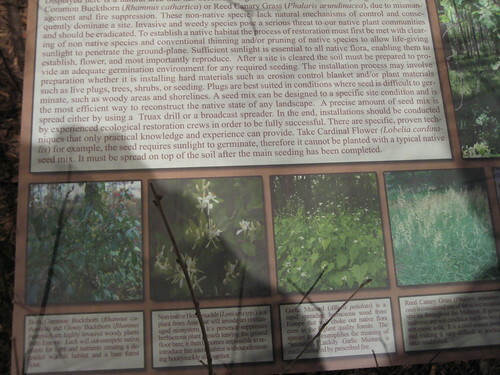 As a native plant fan, I was compelled to spend much of my time at the “Jeckle & Hyde” prairie restoration, complete with Mr. Hyde’s buckthorn and garlic mustard. I saw Beth Botts there, but she was deep in conversation so I didn’t interrupt. While looking at the “Spring Awakening” streams and potagers, I ran into Kylee and her mom from Our Little Acre and just happened to conjure up the mobile number they were looking for (my Spring Fling organizing experience pays off!). 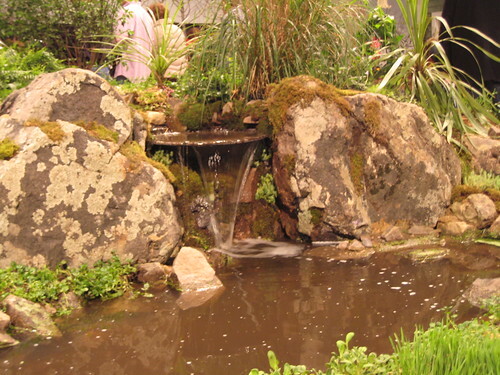 Aquascape had quite a presence at the show, so when I wasn’t looking at prairie plants I looked at all sorts of different water features. 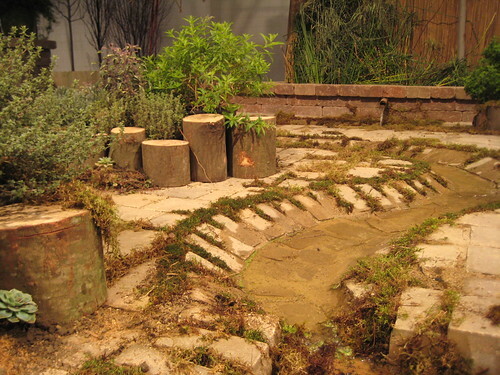 The show was interesting, but I was hoping for more plants and less hardscaping. I think I needed to stop at the Garfield Park Conservatory on my way to Navy Pier so I could get my fill of greenery before the show. I definitely did not visit the Fern Room enough this wintertime! First bloom of the year! The snow has been slowly receding here over the past week. 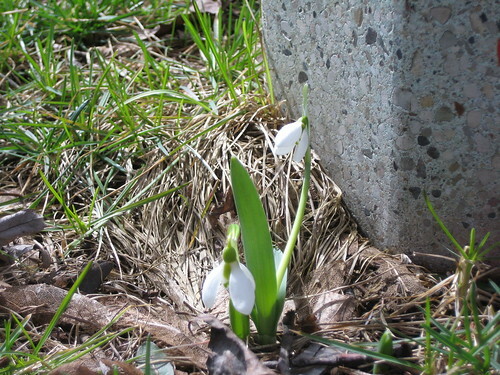 A couple of the snowdrops I planted last fall wasted no time in popping up as soon as the snow was gone from where they are planted. 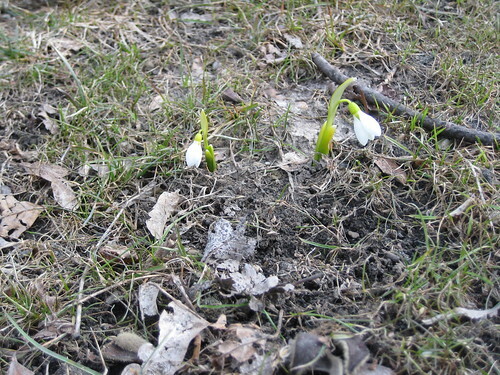 They are still rather pale and frail-looking, but any sign of spring is very welcome in early March. I will post soon about my trip to the Chicago Flower & Garden Show, but seeing a flower in my yard gets precedence over seeing them planted indoors!